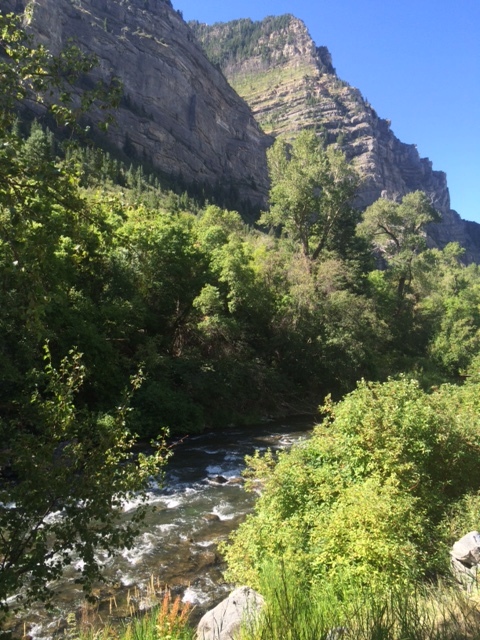 The ride from Midway through Provo Canyon is yet another gorgeous slice of Utah scenery. US. 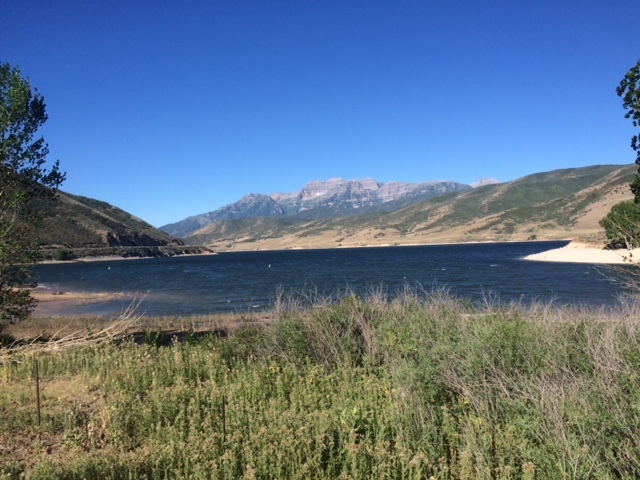 189 is a wide and twisting road that hugs Deer Creek Reservoir at the base of Mount Timpanogos, the largest peak in this area. 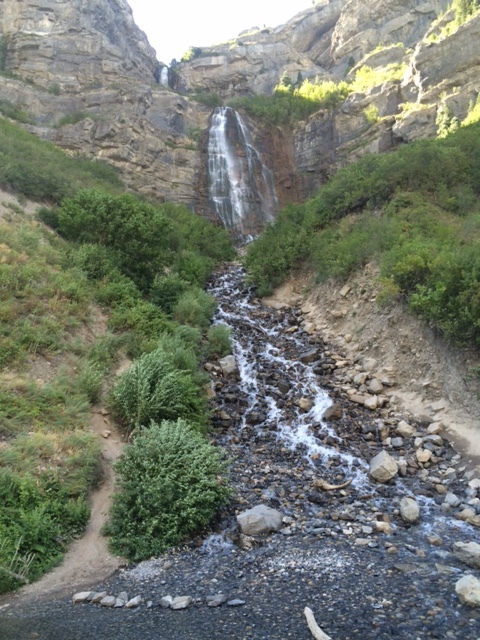 About halfway down a side turn leads to a bicycle path that runs right under the spectacular Bridal Veil Falls and then continues down to Provo. I rolled through Brigham Young University, had an odd interchange with a coed in a car who insisted she knew me, and cycled through downtown on my way to Fire Station No.5, where I met Chris Blinzinger, the Manager of Emergency Preparedness for the City of Provo. Chris took me out to lunch with four other people involved in medical, civil, and natural disaster preparation to talk about tomorrow. Provo is similar to Madison, WI; State College, PA; and Boulder, CO in that it is a college town, but is unlike them in that BYU students, mostly Mormon, are quite different from many college students. There aren’t any bars, the campus is full of married student housing, off campus housing advertises itself as ‘men’ or ‘women’ only. 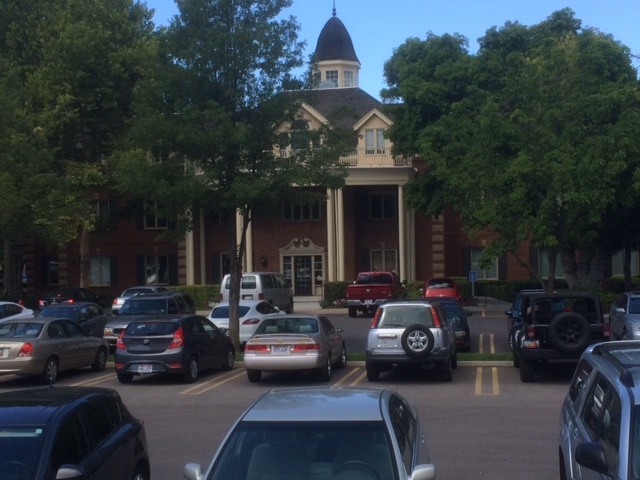 I was struck by Provo’s architecture, which doesn’t reflect the rugged West, as lodge style buildings do in Colorado. Rather, it harkens to colonial stability with brick, moldings and symmetry. 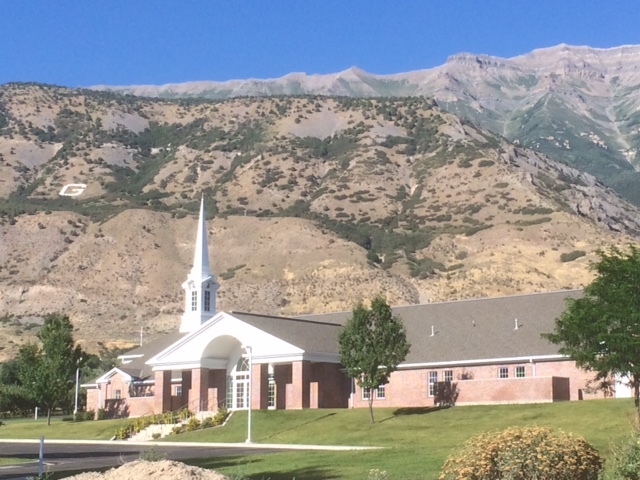 The LDS churches, which occur within blocks of each other, are subtly different combinations of traditional elements. 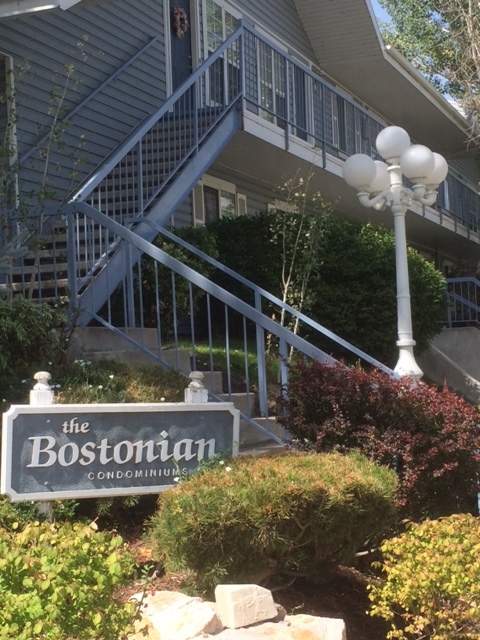 Even the condominiums complexes seek historical connections. I loved The Bostonian, Cape Cod forms in the shadow of giant mountains. After lunch I took a writing break, then pedaled back toward Provo Canyon and over the Murdoch Creek Trail to Pleasant Grove, where I stayed with Chris and his family. Kendra and Chris and their eight children could be featured in a heart-warming reality program. They went to their high school prom together, drifted apart, married others, had children, divorced, and then reunited. We shared a terrific barbeque supper and then everyone pitched in to help Chris and his stepson Spenser prepare for a four-day backpack trip with 25 scouts. My two panniers with a credit card for emergencies are easier to manage. This entry was posted in How Will We Live Tomorrow?. Bookmark the permalink.